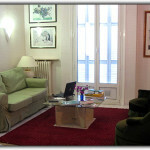 Professional French Courses in Villefranche, France. Local buses run along the coast every 15 minutes from Villefranche to Nice, Cannes and Monte-Carlo. Nice has an international airport with connections to the major cities of Europe and the world (the taxi fare from Nice Airport to Villefranche should be under 45 Euros). A bus goes from Nice Airport to the Nice Central Bus Station where another bus can be taken to Villefranche. The stop in Villefranche is close to the Institut and is called “Place de l’Octroi”. Nice is also linked to other Riviera cities and Paris by a direct express train. The Institut de Francais is located on the sunny Mediterranean-blue French Riviera, unequalled for its beauty, picturesque landmarks and excitement. It is housed in a luxurious Provençal villa, set on the hillside of the lovely port of Villefranche-sur-Mer, overlooking the Mediterranean’s most beautiful bay, 2 miles from Nice and only a short drive to Cannes and Monte-Carlo. The INSTITUT DE FRANCAIS in Villefranche, offers a 2 to 4 week course of complete immersion professional French courses for adults and mature students who want to acquire fluency in French rapidly. Founded in 1969, its aim is to develop natural speaking ability by using a unique concept, the “Total Approach”, which combines the most effective audio-visual methods with practice and real-life sessions in a “French-only” speaking environment. Minimum enrollment age is 21 years of age! By diversifying the students activities throughout the day, all possible approaches to learning to speak French are explored. Thus, the students are constantly stimulated, and able to apply themselves – both analytically and instinctively, both systematically and naturally – to learning the language. Nothing can equal or compare with this “Total Approach” to learning French, especially when applied in an all-day French immersion setting and under the stimulus of small group interaction. Indeed, in this world-renowned setting, providing innumerable cultural and sport activities, all ingredients exist, at the Institut de Français, to make learning French in France a rich and memorable experience. In the classroom, the Institut de Francais uses the officially recognized Saint-Cloud-Zagreb audio-visual methods and is the only school in France to also use a video method developed by the Cultural Services of the French Foreign Ministry and the French National Television. These modern methods result from the joint research work of the Ecole Normale Supérieure de Saint-Cloud and the Institute of Phonetics of the University of Zagreb and, used in conjunction with the Institut de Français’ methodology, are the most effective way to develop a true speaking capability. Called structuro-global, they are based on the oral language (spoken and heard) and place the emphasis on the structures, sound, rhythm and intonation of the language which the student absorbs as a whole and reproduces in the same way a child learns its mother tongue, without the need to dissect or excessively analyze the language. In the first week, an introduction to grammatical terms and sentence structure is given. Then, during the course, grammar is introduced appropriately whenever it helps the process of understanding and learning to speak correctly. Grammar is also inherent in the structures contained in each lesson and the student absorbs it naturally and gradually, day by day, as it grows in complexity. A modern language laboratory is used to support the classroom work and, together with audio-visual aids, is at the student’s disposal for accelerating his or her progress or improving speech difficulties. Outside the classroom, the student reinforces his French during more informal and varied practice sessions such as: the discussion-lunch with the teachers and the French staff, linguistic games, role playing (students improvise a sketch on an everyday situation), radio news analysis, making television commercials, debates with a teacher on current issues, film showings with discussion, attending outside lectures, evening group outings with a teacher to the theatre, a restaurant, etc. All these activities take place in a congenial atmosphere, which is created by all concerned and which contributes so much to the students’ progress and enjoyment. Some amount of specific homework is given in order to help consolidate certain difficulties. A minimum amount is also given on an optional basis, but the rate and intensiveness of the lessons make it difficult for a student to forget from day to day. Because the number of students in each class is limited, each student’s progress is closely monitored, with special exercises given to correct individual, characteristic errors. Thus each student can achieve the best possible results compatible with his or her potential and individual effort. At the end of a 4-week session, regularly attended, a final examination is given leading to the Institut de Francais Certificate (usually corresponding to about 5 US university credits for a 4-week session). All INSTITUT DE FRANCAIS teachers are rigorously selected to ensure the highest possible teaching standard, which is the Institut de Francais’ hallmark. They all hold various university degrees in foreign languages and linguistics. They are all native, accent-less French speakers and speak fluent English; some also speak German, Japanese, Spanish or Portuguese. They have been specially trained in the teaching of French to adults by audio-visual methods, have many years of experience in this field and are continually monitored by the Institut de Francais’ teaching supervisor. With years of experience teaching professional French courses, Institut de Francais is the school of choice for adult professionals, diplomats and executives. Important Notes: Minimum age: 21. Complete beginners: please pay special attention to starting dates and special conditions listed below! (see notes under starting dates!) A 2 or 3 week enrollment is possible but only for non-absolute beginners and provided the session is not full and the student starts at the beginning of the session (this usually only happens during the winter months). Super Intensive Professional French Course — A very intensive and effective course consisting of 40 French Language lessons per week (see sample daily schedule below). Maximum of 10 students per class. Prices include: assessment test, tuition, breakfast, lunch and tea on class days, evening outings with teachers and an excursion. Starting Dates 2019: Starting dates for all levels: 7 January / 4 February / 4 March / 1 April / 6 May / 3 June / 1 July / 5 August / 2 September / 30 September / 28 October / 25 November. IMPORTANT: Beginners are only accepted on the dates listed above and MUST enroll for 4 week sessions! Holidays 2019 – 1 January, 14 July, 25 December. Classes missed due to holidays are made up. MEALS: Two meals a day, wholesome and balanced, prepared with fresh products by a very good French chef are served at the school during class days and are included in the course fee: breakfast and a discussion-lunch with teacher and staff participation. At the end of each day, tea is served in the dining room where students and teachers gather to chat and relax. Dinner and weekend meals are not included and can be taken where desired. There are many restaurants in the area where a good meal can be had for 20-30 Euros per person. Short coffee breaks, with tutors available, are also scheduled during the morning and afternoon. 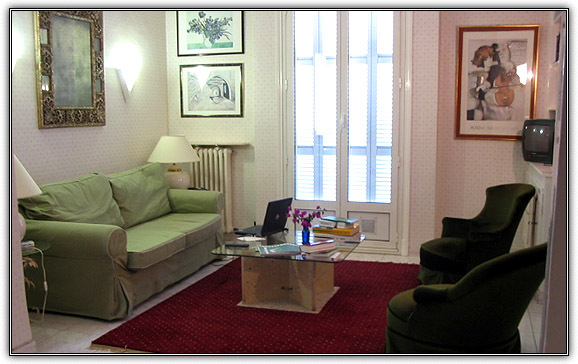 The Institut de Francais provides private accommodation outside the school, if desired. 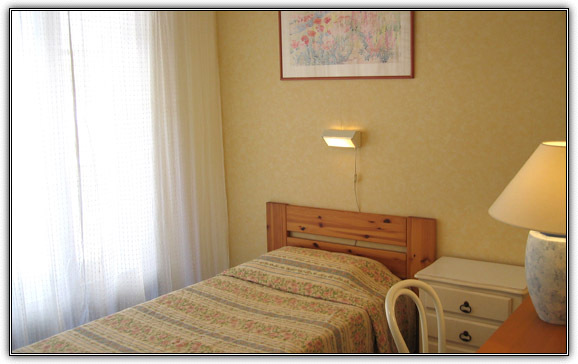 These are pleasant, comfortable 1-, 2- or 3-room apartments located in the small perimeter of Villefranche, within walking distance of the school, shops, banks, telephone, television, etc. 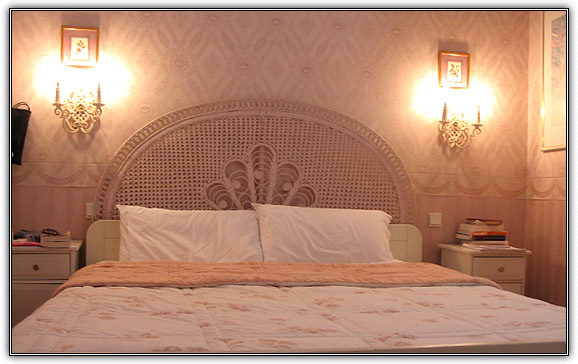 All apartments are completely furnished with linen, cooking utensils, dishes, refrigerator, telephone, television, etc. Linen is changed and cleaning is done weekly. IMPORTANT NOTES regarding Institut de Francais’ accommodations: A) Apartments must be paid for locally directly to the landlord in Euros! Pricing listed below is in EUROS. B) Participants staying in individual studio apartments (both Standard and High Standard) may arrive on the Sunday immediately preceding the start of the course. HOWEVER: participants staying in shared apartments can only move into the apartment on the first day of the course!! 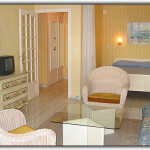 We will provide you with a listing of local hotels if you arrive on Sunday. 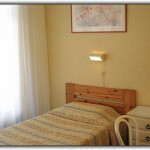 There is a 100 Euro refundable deposit required for each apartment. 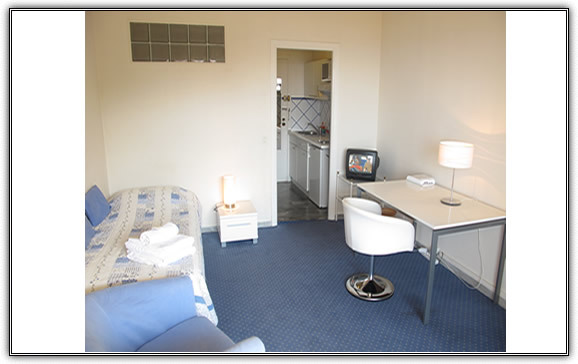 Deposit is due upon arrival and is returned at the end of the stay once keys are returned. 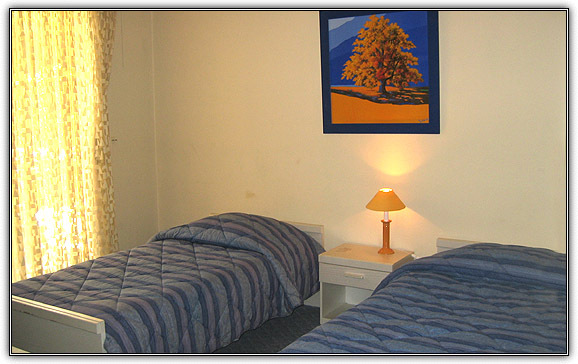 Private room in Shared Apartment *: These are in 2- or 3-room apartments, solely occupied by the students, private bedroom and shared kitchen and the bathroom. The students are assigned these apartments according to age groups and with the aim of mixing nationalities whenever possible. 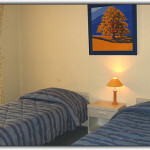 Prices for 2 week stays are pro-rated ( half the cost of a 4 weeks stay). 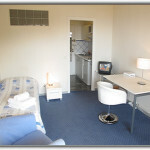 Individual Studio Apartment *: This is a 1-room studio apartment, with kitchen, bathroom, washer, telephone and television. 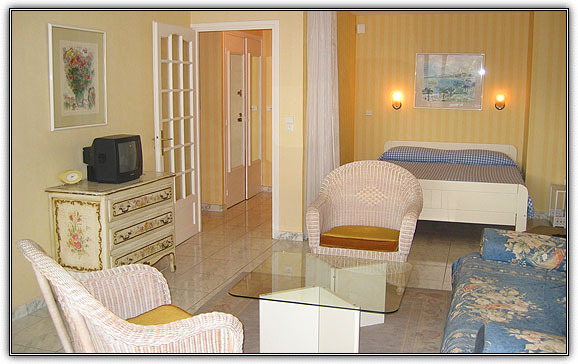 Prices for 2 week stays are pro-rated ( half the cost of a 4 weeks stay). High Standard Individual Apartment *: These are very pleasant, larger apartments, well furnished and equipped with washer, dishwasher, telephone, television, etc. Most have a balcony or terrace and a view of the bay. High Standard 2-Room Private Apartment *: These are very nice, larger apartments with a separate bedroom, well furnished and equipped with washer, dishwasher, telephone, television, etc. Most have a balcony or terrace and a view of the bay. 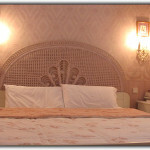 *There is a 100 Euro refundable deposit required for each apartment. Deposit is due upon arrival and is returned at the end of the stay once keys are returned. **Prices for 2 week stays are pro-rated ( half the cost of a 4 weeks stay) EXCEPT from April through October when the minimum booking period is 4 weeks (full price will be charged for shorter stays) . An introductory social evening (with dancing) is organized for each session. Discussion-excursions are held, depending on the season, to: such renowned villages as Saint-Paul-de-Vence, Grasse (the perfume and flower center of France), the Maeght Foundation, the Picasso Museum in Antibes, the Chagall Museum in Nice, the Villefranche Chapel decorated by Jean Cocteau, etc. All these activities, enjoyed in a group, are enriched by exchanges between students of varied nationalities, ages and professions. Many cultural activities are available in Nice, Cannes, Monte-Carlo including the famous Nice Carnival in February, lectures with debate in Nice by famous literary, art and political figures, classical and avant-garde plays by the Théâtre de Nice company. Villefranche is so close to Nice (2 miles) that many students go there every night for the evening meal and entertainment. Windsurfing, sailing, hiking, tennis, sun-bathing, roller blading, and skiing (Alps ski resorts are 30 miles from Nice) are some of pleasures available on the French Riviera which can be enjoyed at leisure during weekends. The school helps plan these weekend activities. Sylvia S. PACHECO, World Bank, Washington D.C., USA.